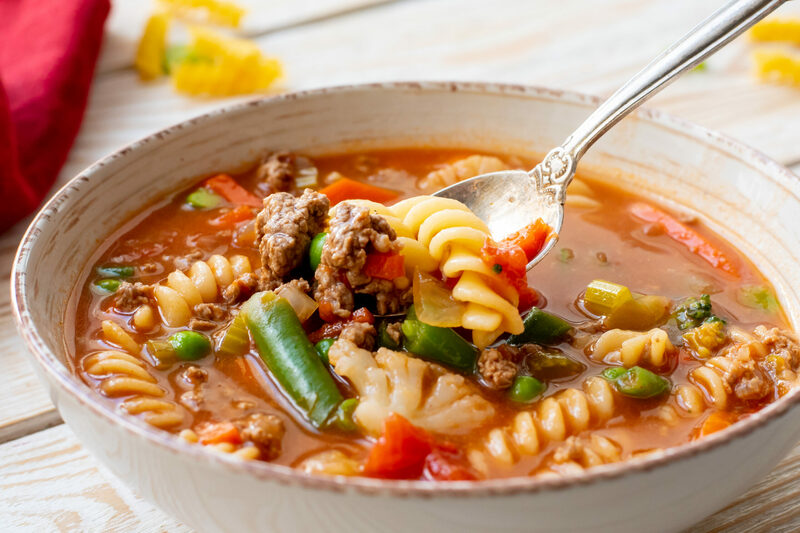 A flavorful soup that is packed with flavor, quick to prepare, and the perfect meal for the Fall/Winter season! 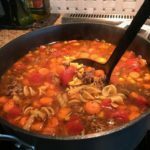 For years, my mom made her tasty Vegetable Beef Barley Soup! Anytime she made meals for others, this would be the soup she prepared. Everyone went crazy over it and even all of you following the blog have LOVED the recipe! Recently, she changed the barley to noodles and the end result was EVEN BETTER (in my opinion of course, hehe). 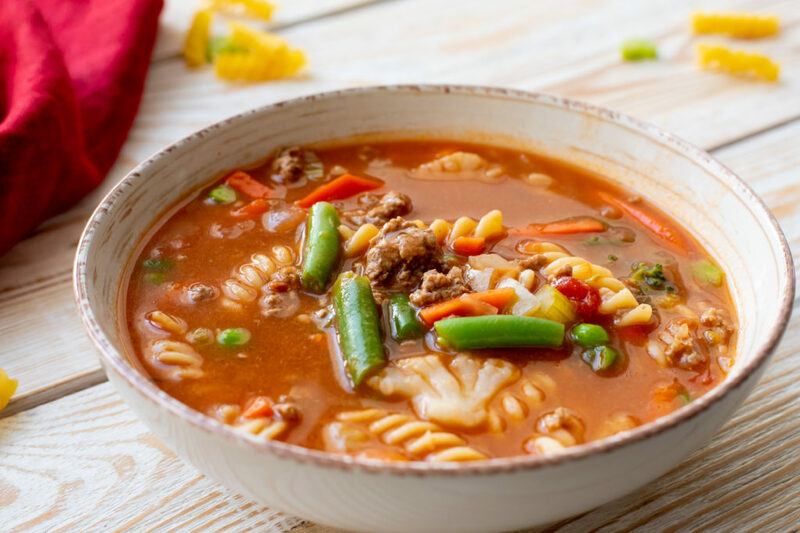 Hearty and flavorful with tender noodles, veggies, and ground beef, this soup is a definite must try! Freeze the leftovers for a later date, or share with family and friends! 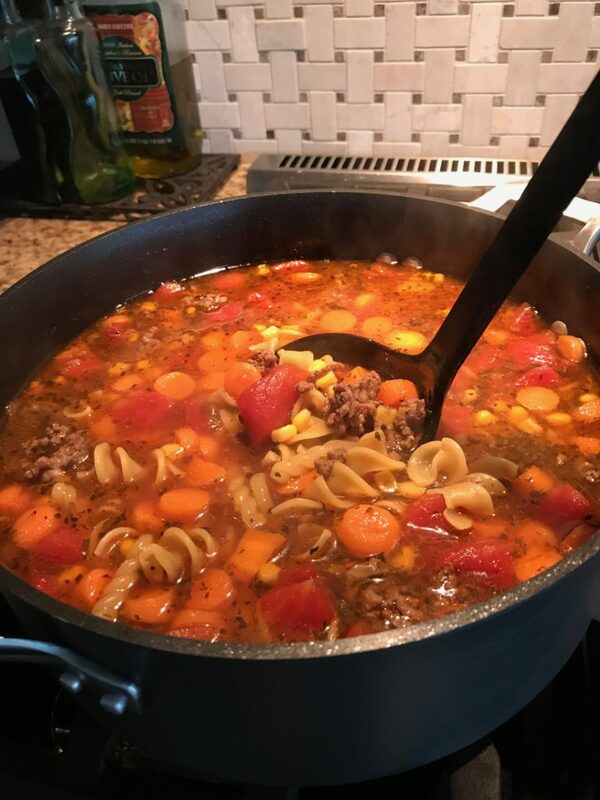 With Fall/Winter weather heading our way, this soup is a great way to warm up! Pair with some yummy bread and you have a fabulous meal! 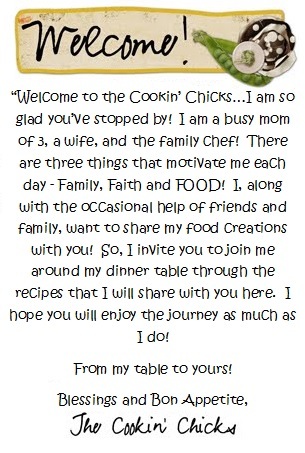 From mom’s kitchen to yours, enjoy!! A quick, hearty soup that is packed with tender noodles, veggies, and ground beef. Perfect for cooler Fall/Winter weather! In a 4 quart saucepan or dutch oven, brown the beef. Add the onion and garlic, cooking until onion is tender. Drain fat and add remaining ingredients, excluding mixed veggies. Reduce heat to low and allow to simmer about 45-60 minutes, stirring occasionally. Add frozen veggies and cook an additional 10 minutes, or until veggies are tender. *Add additional water or extra can of tomatoes if soup becomes too thick upon standing! What frozen veggies? husband does not eat corn. Sure! Just cook the meat and drain it first, then put the rest in the crockpot on low for about 6-8 hours! We use mixed veggies, but any frozen veggie you prefer will work!! Awww, thanks! I am so glad you enjoy them!! 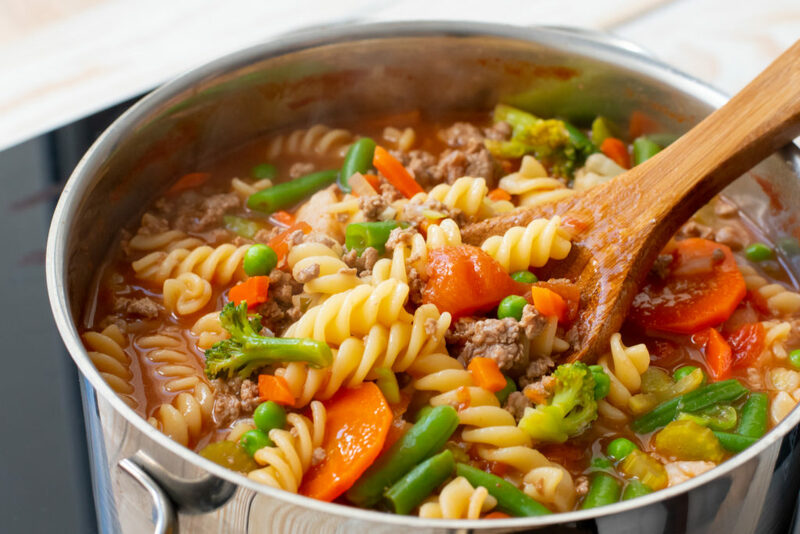 You can add cooked noodles in at the end of the cooking cycle, or add them uncooked about 2 hours (if on low) prior to being done and it will be great! I WOULD LIKE TO TRY THIS DELICIOUS SOON,PLEASE SEND IT TO MY E=MAIL THANK YOU. Just emailed it to you, enjoy! Amazing flavor . This recipe is a keeper for sure. Yea! So glad to hear you enjoyed it! How much barley would you use instead of noodles. I want to try it both ways. Thank you! 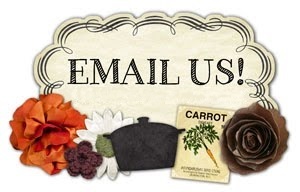 Just sent over to your email! This may be a dumb question but do you keep covered while simmering for the 45-50 min? Not a dumb question! Yep, keep covered for the simmer! Enjoy! Would you like me to add you to my email list? Or email the recipe to you? I think I make this for supper tonight. It looks delicious. Yea!! Hope you enjoy it! Be sure to keep me posted!